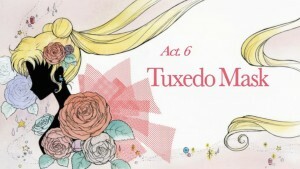 As with every week we will be getting yet another English dubbed episode of Sailor Moon Crystal as Act 6, Tuxedo Mask, is added to Hulu and Neon Alley this Friday at 9pm Eastern Time. 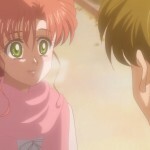 This week we get to see Mamoru without a shirt! 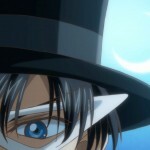 We will see a bit more of Tuxedo Mask than we have in the past as the episode focuses on him and his alter ego Mamoru. No doubt this is the most important new thing to be released this weekend. 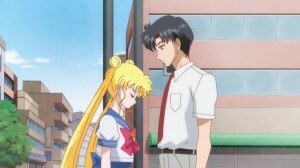 This entry was posted in Pretty Guardian Sailor Moon Crystal (2014) and tagged Hulu, Sailor Moon Crystal Act 6 - Tuxedo Mask, Sailor Moon Crystal English Dub, Sailor Moon Crystal Phase 1 - Dark Kingdom, Tuxedo Mask by Adam. Bookmark the permalink. 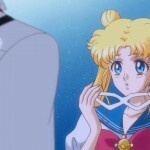 This is the first episode we get a look at Sailor Venus, right? Or is that the one after this? 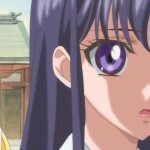 If you count Sailor V as Sailor Venus then yes. You mean this week. Friday is a weekday not the weekend. The weekend is Saturday and Sunday. Some places consider Friday night part of the weekend. Just Google it. He is pretty dreamy, isn’t he?